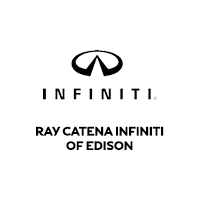 Ray Catena INFINITI of Edison is looking for a motivated service technician to join our award winning team. The Service Technician services and repairs vehicles as assigned by management following all established standards and procedures. In addition, he or she may be assigned to conduct pre-delivery service on new vehicles to ensure excellent working order for the customer. The ideal candidate for this position has a high school diploma or GED, some post-secondary automotive training, and a minimum of one year of dealer-level or large facility experience. He or she is certified by the National Institute for Automotive Service Excellence (ASE) or is willing to obtain certification, has an unrestricted driver’s license and a clean driving record, and has a strong technical performance record. Fluent English speaking and writing skills, good time management skills, and appropriate dress, speech, and behavior are all required for this position. Please forward resume & cover letter to sspearnock@raycatenainfiniti.com for consideration.